YOUR DRIVER GUIDE – Chris Wilson, pleased to meet you! I originally come from Manchester, went to University in Hull and after a few years working with Nike in events, I came over to Switzerland in 2000 and worked as an Event Manager in football for UEFA and FIFA, organising commercial side of high profile football matches – a dream job indeed. 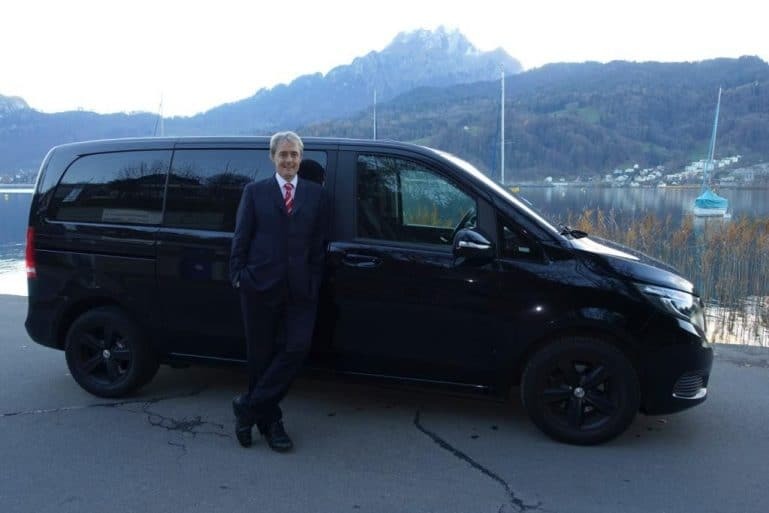 At the same time, I was able to experience life in Switzerland and discover the natural beauty, history and culture of Switzerland and it`s for this reason, as well as penchant for meeting people and organising activities that Typically Swiss Tours was founded. Put simply, living here surrounded by stunning scenery is a absolute pleasure and sometimes, you really do have to pinch yourself. I am totally convinced and confident that any traveller coming to Switzerland and in particular the areas, I take tours to, will return home with cherished memories which will last a long time and no doubt encourage thoughts about a return trip. With ever increasing numbers of (FIT) tourists travelling to Switzerland requiring more personal experiences, I thought it would be a wonderful idea to share my experiences of this enchanting country with inquisitive tourists who are keen to see the most amazing places here in a private / small group but also to show them the myriad of lakes, mountains, gorges, villages that are not in every brochure or website and which are Typically Swiss. Plus I enjoy showcasing these places to people and at the same time, ensuring that they have an enjoyable time along the way so they feel the relaxed and looked after. Basically, I wanted to give people a VIP experience at non VIP prices. This is my second business, the first is a successful Bed and Breakfast, 4 Seasons Luzern, which has been running since 2016. This experience has given me confidence from the positive feedback we received from guests, that a Tour business could work here in Switzerland. We have welcomed over 180 groups of tourists into our accommodation, all of which have appreciated staying with us. Please click here to read guest feedback from staying at 4 Seasons Luzern. I live in Luzern with my family. We are passionate about travel, having visited many places here and all over the world and therefore we know what people want from their holiday – comfort, relaxation, infomrmation, places of interest and something special to see, all of which we hope we can provide. Our unique tours in Switzerland will give you memories you will cherish forever. I hope to see you soon on one of our tours! I have been driving for over 20 years and in 2017 passed the theory and practical test to drive multiple passengers (121 Swiss licence). Public Liability Insurance for Business. Allianz coverage up to 5 million chf. Private Hire Vehicle Insurance. Fully comprehensive private hire cover with Allianz Insurance. Mercedes V Class CDI 3.0 7 Seater MPV offering a good blend of comfort and practicality. •	Latest 2019 Satellite navigation system. •	Children’s seats – appropriate car seats supplied but please place your request for correct age-, height- and weight-appropriate child seats at the time of booking.